"An Arch with a View"
Steven (Chicagoland, United States) on 27 June 2014 in Cityscape & Urban and Portfolio. 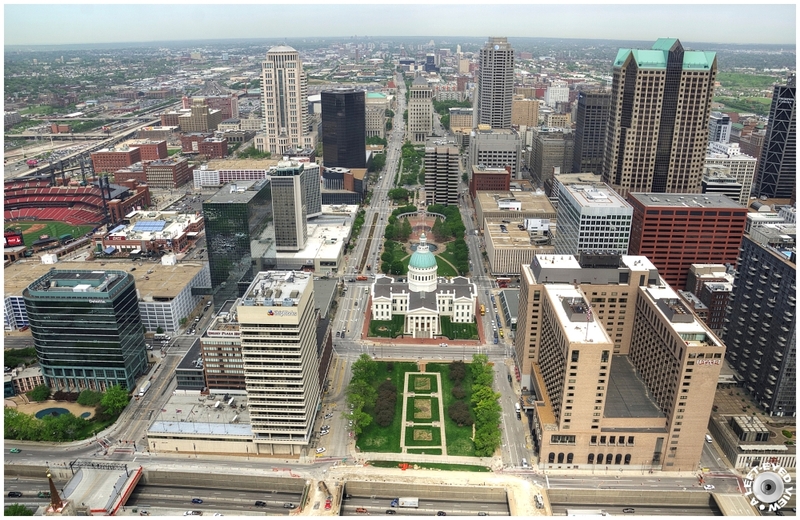 View of downtown St. Louis as seen from the top of the Gateway Arch. Photo captured May 5, 2014. Perfect shot, no distortion at all, well done. This is great for diving!! Well, I guess architecture had to move on . . on and upward ! Another great view on the town and its different architectures. with beautiful frame, colors & lighting! Magnifique plongée au centre de ville. The wider angle view from the arch is remarkable for its detail and shapes of the city. Very nice shot. Superb wide view from this alternative "top of the rocks" ;-) Very nice contrast between "green and grey"
Superbe vue plongeant e tiamge quels édiffice et immensité sueprbe. A beautiful wider view of the city. The impressive detail is still there. A stunning view and excellent image ... sharpness and details are magnificent !!! A fabulous view of the city! A beautiful image! Wonderful detail! Nice view of that flat landscape. Wonderful capture of the beautiful cityscape in nice point of view. Excellent. Great capture of the city!! Splendid perspective with detailed image and wonderful colors. Brilliant perspective and shot Steven ! Magnifique point de vue !